The Radisson Blu Park Hotel Athens enjoys a great location on the border of Pedion Aeros, Athens central park in a more tranquil part of Athens. 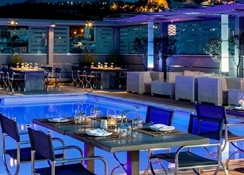 Guests of Radisson Blu Park Hotel Athens can easily reach all of Athens'' tourist attractions including Acropolis Hill and the Parthenon as well as a plethora of fabulous shopping, dining and entertainment opportunities to enjoy. Offering superb value for money, excellent guest services, facilities and accommodation the Athens Park Hotel makes a perfect choice of hotel for all visitors coming to Athens planning to enjoy it all. For a lovely time and a great deal in Athens book your next stay at the magnificent Radisson Blu Park Hotel Athens today. Getting to the hotel: Victoria metro station is less than 300m away from the hotel. Athens airport is easily reached via great metro and road connections. Local tips: no visit to Athens would be complete without a tour of the mighty Parthenon – truly one of the best wonders of the ancient world. The ancient Greeks invented so many things but one has to stand and stare at the marvel of their building achievements. Ask staff at reception for further information, local guidance and directions. Dining: guests enjoy a variety of dining options including Gallo Nero the all-day café/restaurant offering a perfect blend of Greek, Italian, Mediterranean and International cuisines featuring the best of produce and seasonal ingredients. The Oak Room café offers a variety of teas, coffees, beverages, drinks, snacks, pastries and sweets. 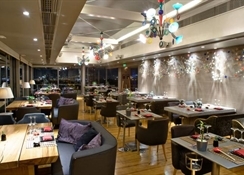 St Astra East Bar Restaurant on the top floor of the hotel offers magnificent views across the city, the Acropolis and Lycabettus Hill featuring cuisines from the east incorporating China, India, Thailand, Mauritius and Japan with Sushi on the menu too. Fine wines, beers, spirits, cocktails, beverages and snacks are offered throughout the day from the hotel''s bars. Amenities: outdoor swimming pool with terrace and loungers (for use only during warmer summer months) offering amazing city views, well equipped fitness centre with sauna, steam bath. Additional: 24hr reception, currency exchange services, housekeeping, maid services, safety deposit box (reception), room service, wake up call service, wedding/event catering services, indoor parking, daily newspaper, fully equipped business centre with audio/visual equipment rental, express mail, e-mail facilities, fax, copying, meeting/conference rooms, modem, printing service, secretarial services, luggage storage facility, concierge services, car rental services, flexible check-in/out facilities, lifts, disabled access/facilities, lounge, souvenir shop, tax services, laundry services, tourist information services. Some services will incur local charges. 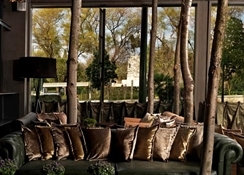 The Radisson Blu Park Hotel Athens enjoys a great location on the border of Pedion Aeros, Athens central park in a more tranquil part of Athens. 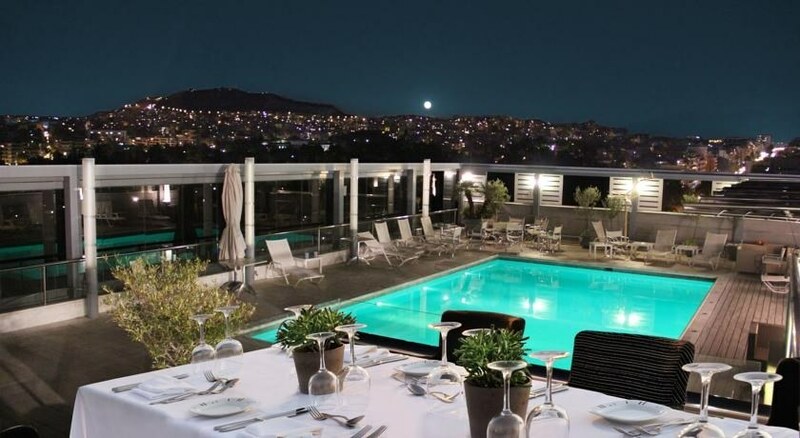 Guests of Radisson Blu Park Hotel Athens can easily reach all of Athens' tourist attractions including Acropolis Hill and the Parthenon as well as a plethora of fabulous shopping, dining and entertainment opportunities to enjoy. 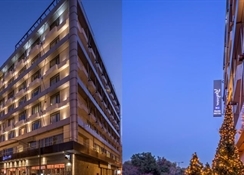 Offering superb value for money, excellent guest services, facilities and accommodation the Athens Park Hotel makes a perfect choice of hotel for all visitors coming to Athens planning to enjoy it all. For a lovely time and a great deal in Athens book your next stay at the magnificent Radisson Blu Park Hotel Athens today. Dining: guests enjoy a variety of dining options including Gallo Nero the all-day café/restaurant offering a perfect blend of Greek, Italian, Mediterranean and International cuisines featuring the best of produce and seasonal ingredients. The Oak Room café offers a variety of teas, coffees, beverages, drinks, snacks, pastries and sweets. St Astra East Bar Restaurant on the top floor of the hotel offers magnificent views across the city, the Acropolis and Lycabettus Hill featuring cuisines from the east incorporating China, India, Thailand, Mauritius and Japan with Sushi on the menu too. Fine wines, beers, spirits, cocktails, beverages and snacks are offered throughout the day from the hotel's bars.